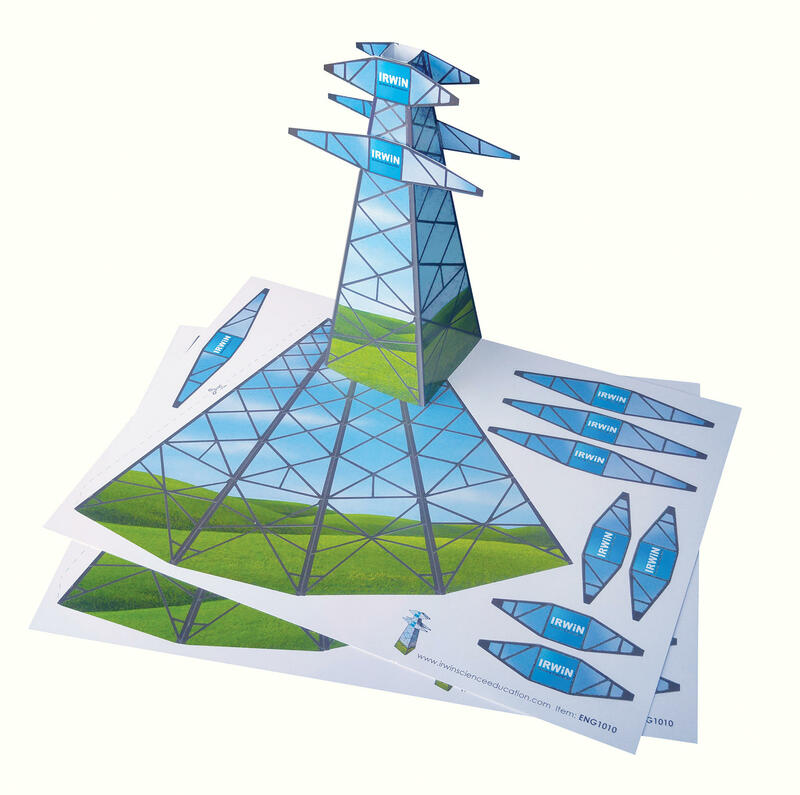 Our mini national grid system is a very cost-effective way of teaching the principles used by the National Grid to supply electrical power to our homes. 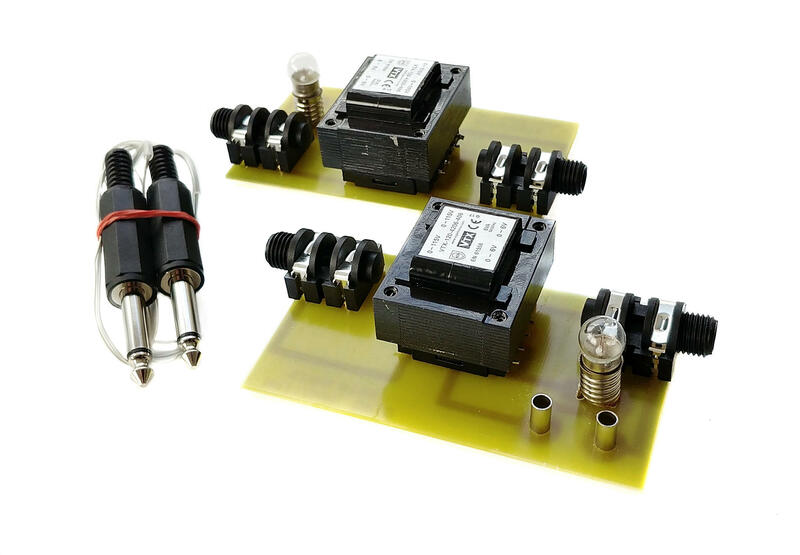 This kit comprises two printed circuit boards and a set of "HT" leads to interconnect them and is SELV (Safety /Separated Extra Low-Voltage) classed, which means that no part of the system is at more than 50 volts - which means it is very safe and suitable for student use. 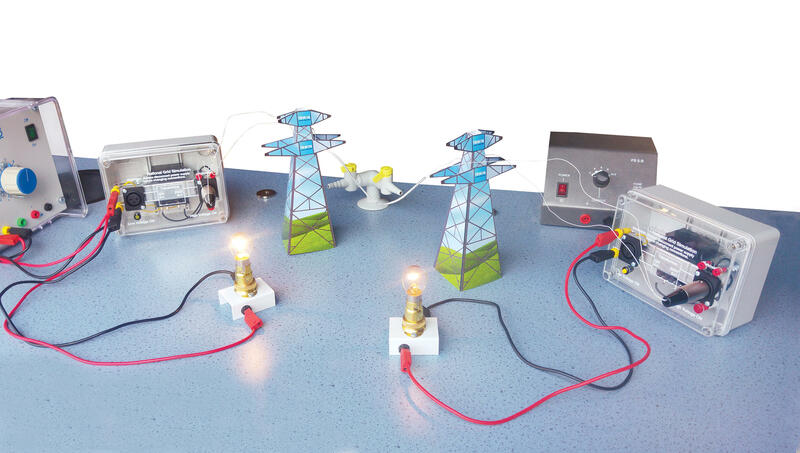 The system allows the user to compare electrical transmission at low and high voltages and the results are displayed by the brightness of the two on-board MES lamps which are supplied. 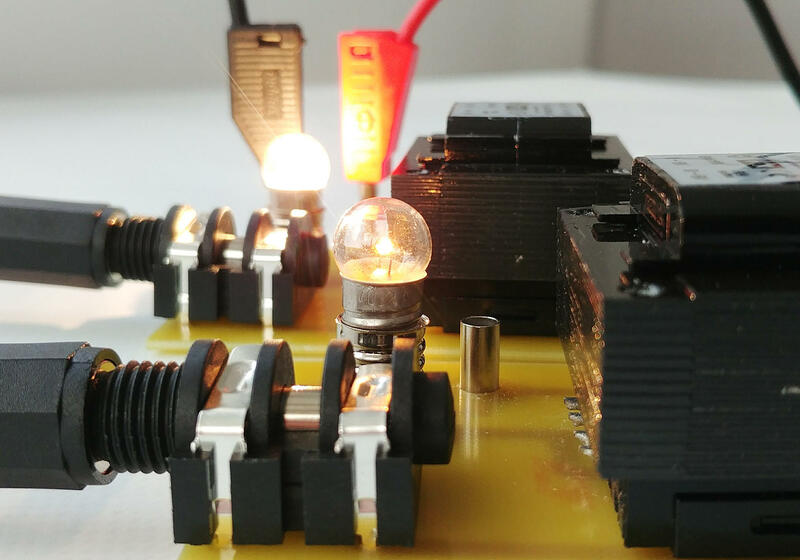 Other equipment needed is two standard 4mm plugged leads and a power supply capable of delivering 2-3 volts at 1 amp.